CONTENT How do increasing movement and mobility impact the production of space in fast urbanising regions? When everyday life is determined by multi-locality and temporary inhabitation, which chances of participation, representation and self-determination do inhabitants retain? The author, who accompanied everyday commuters, seasonal migrants, street vendors, across Bangladesh as well as various states of India for more than one year, will illustrate their circulatory livelihoods and recount their everyday life stories. 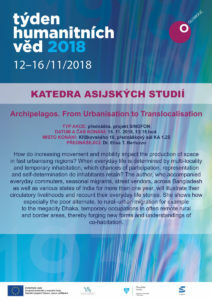 She shows how especially the poor alternate, to rural–urban migration for example to the megacity Dhaka, temporary occupations in often remote rural and border areas, thereby forging new forms and understandings of co-habitation.